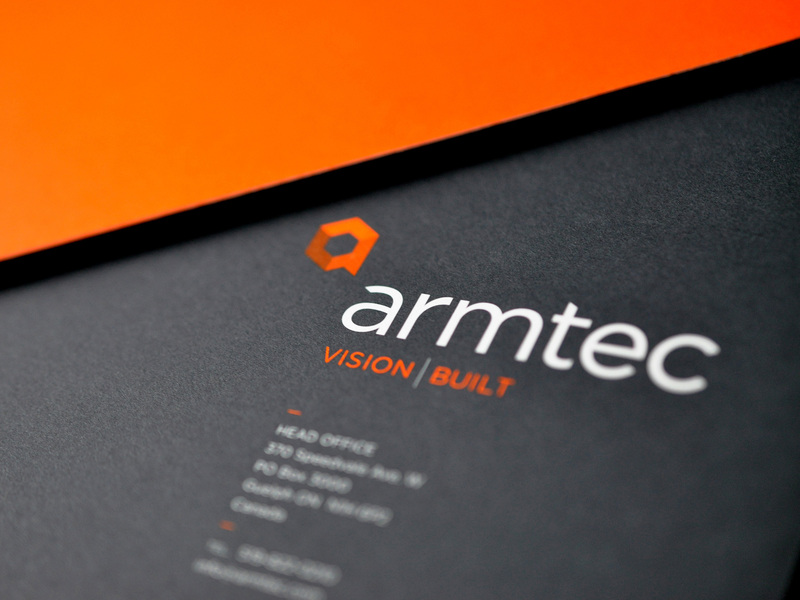 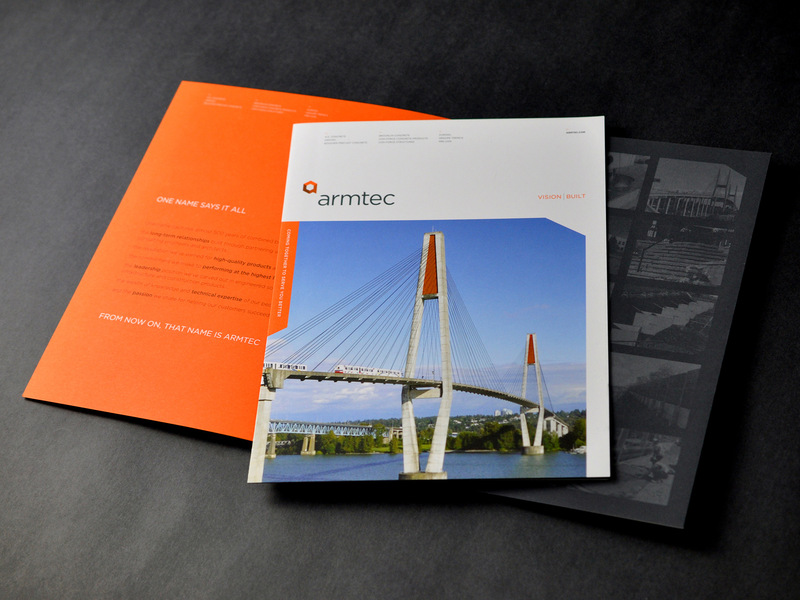 Rebrand of Armtec – one of Canada’s leading manufacturers of engineered precast concrete products. 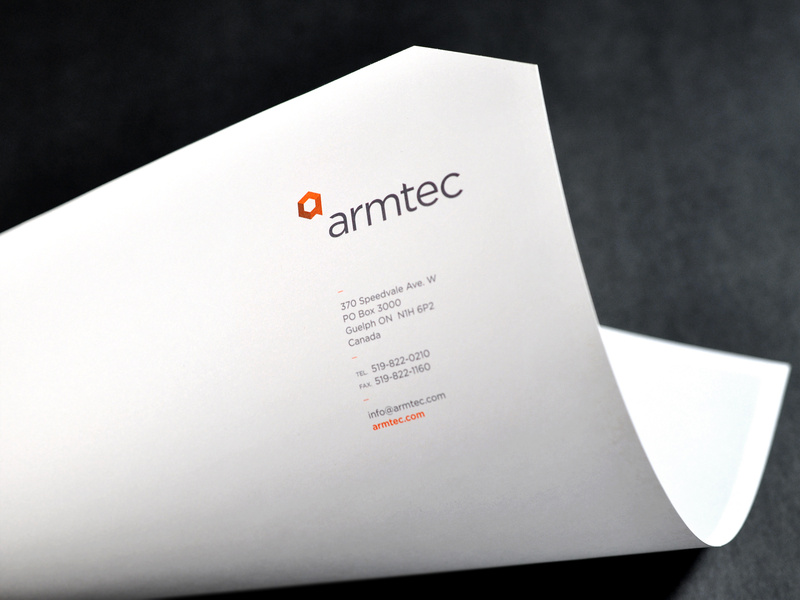 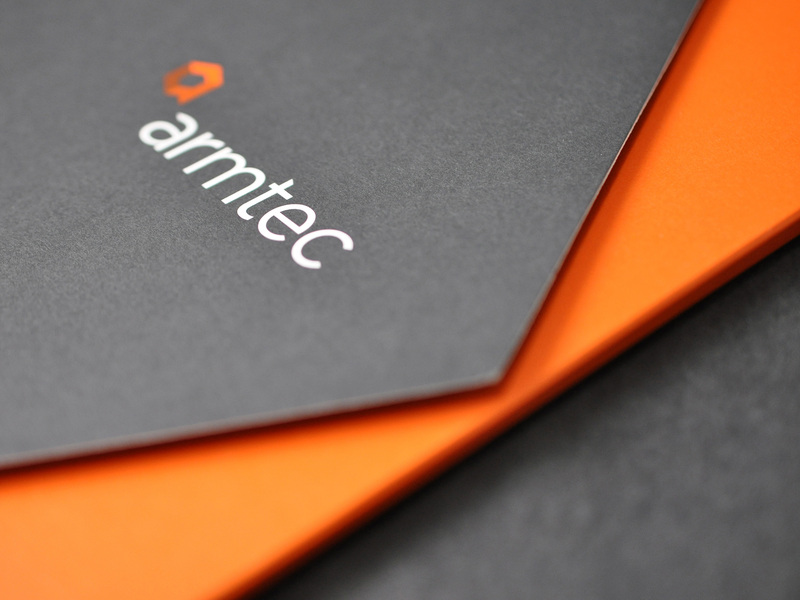 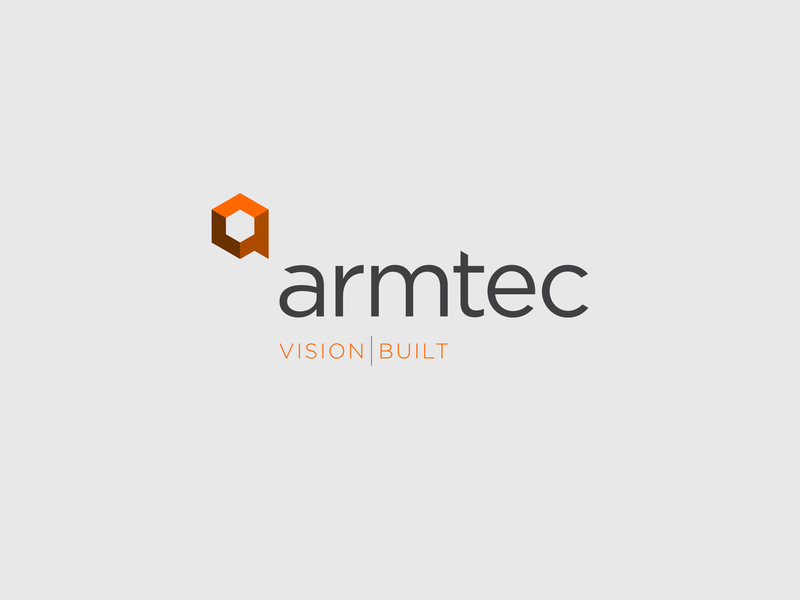 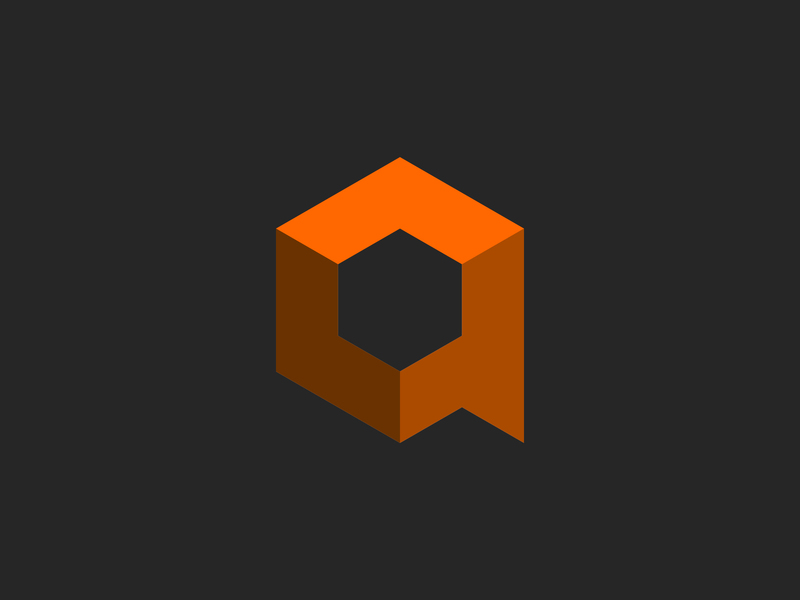 The brand mark illustrates the three dimensional, solid aspect of its products as well as implying the letter ‘a’ and also forming a speech bubble – representing the collaborative process that Armtec uses in interactions with its partners and customers. 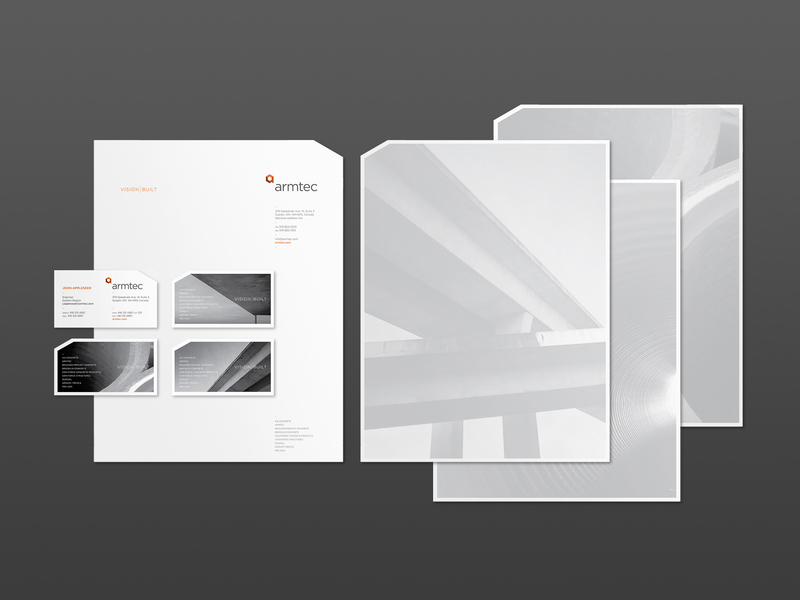 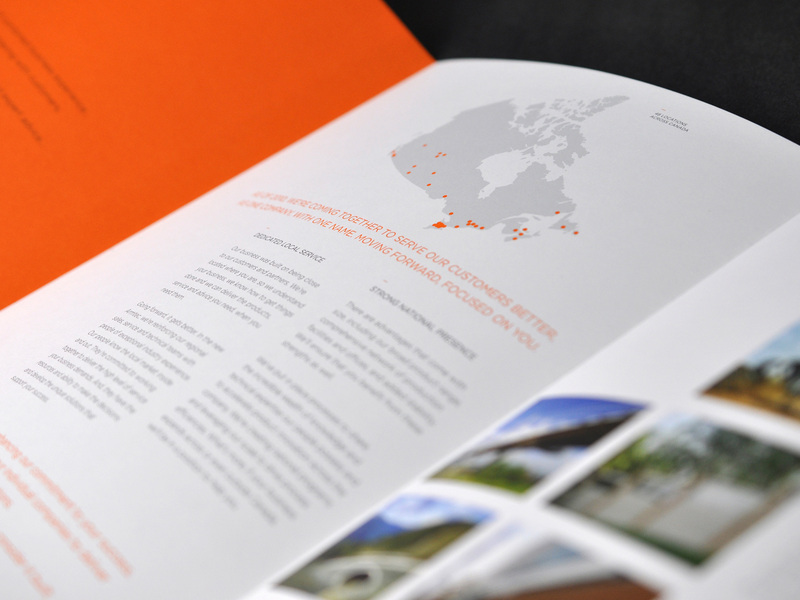 After developing the new brand identity, deliverables included a full suite of stationery for its 52 offices across Canada, a positioning brochure, folder, data sheets and a comprehensive new website.